It is 1916 and Mateo has been gone for two years. He left Lucia, his beautiful wife and their daughter, Josie in Bari, Italy to search for a better life for his family in America. 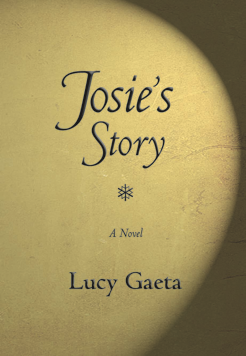 Lucia becomes lonely with no one but Josie for companionship. Enter handsome Vincenzo and Lucia falls in love. When Mateo returns from New York and discovers his wife’s infidelity, he sends Lucia away, keeping his daughter to live with him and his various mistresses. This is a story of two strong women: a mother who pays dearly for an indiscretion and her daughter, who strives to rise above her Charlies Dickens-type childhood.